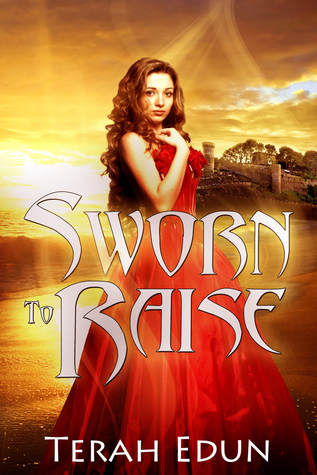 Today I am part of the Book Blitz for Sworn to Raise. I think this book sounds really awesome and I am glad to be part of the book blitz! I also have an excerpt for you today and a giveaway and a tour wide giveaway. Blurb from Goodreads: Seventeen-year-old Ciardis has grown up in poverty, a cleaner in a small vale on the outskirts of the kingdom. But beneath her kingdom’s seemingly idyllic surface lies a hidden secret. Whispers of an inept crown Prince are growing ever louder—intensified by the five year anniversary of the soulbond initiations. Ciardis Vane watched the townspeople jeering as the local Gardis strapped the highwayman into the stocks. Frowning Ciardis wormed her way closer to the front of the crowd, straining to get a peek at the criminal. She felt no pity for the condemned man; he would die tonight, regardless of her feelings. The nightwolves were already pacing, their shadowed forms just visible in the dense tree line, waiting for darkness to fall. Without the protection of the house wards, the highwayman would be defenseless locked in the stocks. I wish I could say it will be a quick death, she thought with clinical detachment, but they’ll probably go for his guts first. The man deserved no less than death in any case; he had done nothing but steal from—and sometimes kill—those who traveled the Imperial coach roads. “Stand and deliver,” indeed! 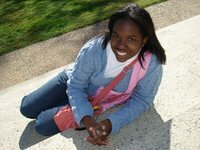 Ciardis pushed back her heavy brown curls with a sun-bronzed hand. Turning slightly to the side she whispered about his crime with the other washer maids who’d come to see the spectacle. Suddenly, she felt a sharp pinch on her wrist. Turning to see who had interrupted her entertainment, she looked over and frowned down at the younger woman who now stood by her side. Wringing her hands anxiously, Margaret looked up at Ciardis and gave a quick jerk of her head to the side to indicate they should speak outside the crowd. “You’ll want to hear this firsthand, Ciardis,” Margaret said with urgency. “All right, all right,” Ciardis muttered as they made their way out of the crowd and down to the washer station with a few other girls trailing behind. The slight blonde woman who scurried next to her was a great source of village gossip, and Ciardis knew that whatever she had to say would be worth leaving the spectacle in the midst of the judge’s punishment. To Ciardis, a good piece of gossip was as welcome as spun gold…usually. When they’d walked far enough from the crowds Margaret was quick to tell Ciardis the news which she’d heard from weaver’s daughter who’d heard it in the apothecary the day before. Mags shook her whole head, curls bouncing every which way, in denial. “They were seen, getting in a big fight and then…” said Mags. “So?” interrupted Ciardis in disdain, “That means nothing. This bit of news hit Ciardis with all the weight of a lead brick. “Bound?” questioned Ciardis unsteadily. Bound was very different from together. Bound meant married, bound meant forever. Now she felt like throwing up. Loving the sound of this book! I love any novel with a strong female lead! Yeah I think this book sounds great! I hope it’s as good as it sounds!